Christmas arrives this evening [24 December], and my Advent reflections on Dietrich Bonhoeffer have come to end. 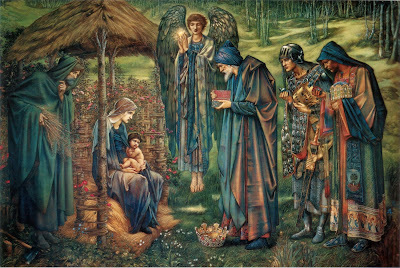 Between this Christmas Eve and the Feast of the Epiphany [6 January 2016], I am listening to appropriate Christmas music by the great English composer, Ralph Vaughan Williams (1872-1958). This evening, I am listening to his Fantasia on Christmas Carols. Then, from tomorrow [25 December 2015] and over the Christmas season, I am inviting you to join me each day in a series of Christmas meditations as I listen to Vaughan Williams’s Christmas Cantata Hodie (‘This Day’), his of musical styles set to poetry from most diverse sources, including John Milton, Thomas Hardy and George Herbert. Vaughan Williams had a passion for Christmas that was nourished at an early age by his love of Christmas carols and by his childhood memories of singing them at his home in Leith Hill Place, Surrey, from Stainer and Bramley’s Christmas Carols New and Old (1867, 1878). As an adult, his work with carols blossomed the founding of the English Folk Song Society and he began collecting them in the early 20th century in Essex, Surrey, Sussex, Somerset, Worcester and Hereford and other parts of England. The tunes he collected were first published in the English Hymnal (1906), which he co-edited with Percy Dearmer, and later in the Oxford Book of Carols (1928). Vaughan Williams wrote his Fantasia on Christmas Carols for the Three Choirs Festival in Hereford Cathedral in 1912. 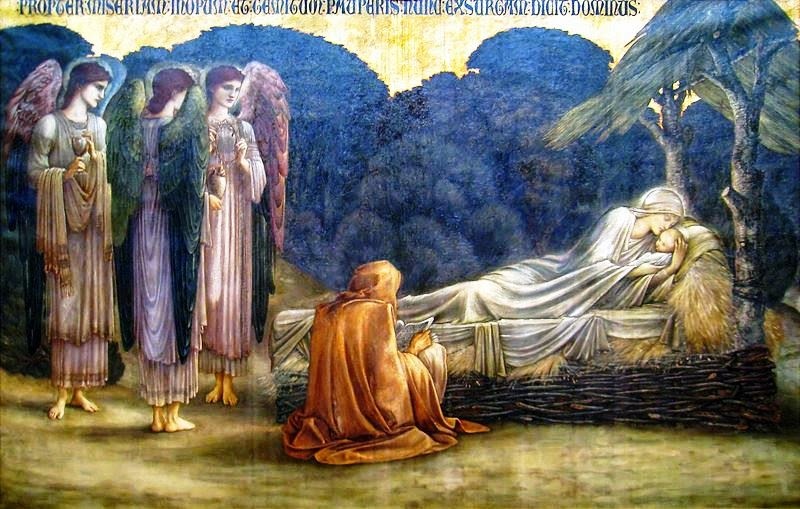 It was the first of several works inspired by the Christmas theme, including the masque On Christmas Night (1926) based on Charles Dickens’s A Christmas Carol, his great cantata Hodie (1953-1954), and the Nativity play The First Nowell (1958). This Fantasia is written for baritone, chorus, and orchestra. It is a single movement lasting about 12 minutes and consists of three English folk carols, ‘The truth sent from above,’ ‘Come all you worthy gentlemen’ and ‘On Christmas night all Christians sing’ (also known as the ‘Sussex Carol’). These are interposed with brief orchestral quotations from other carols, such as ‘The First Nowell.’ Vaughan Williams had collected these folk songs in Sussex a few years earlier with his friend Cecil Sharp. The notion of creating a musical structure out of folk tunes was not new to Vaughan Williams. His two Norfolk Rhapsodies (1905-1906) juxtaposed various contrasting melodies. Now Vaughan Williams saw the opportunity to feature a number of less familiar, unpublished English carols that he had collected with Cecil Sharp, as well as a number of old traditional favourites. This Fantasia was dedicated to Cecil Sharp. It was first performed on the evening of 12 September 1912, conducted by the composer with the baritone Campbell McInnes. True to his democratic convictions, Vaughan Williams made the work widely available in a variety of scorings: for full orchestra; for strings and organ; for organ or piano; and for solo cello. This Fantasia is notable for its restraint. It is the least showy of his Christmas pieces, and it avoids more familiar carols. The first part of the Fantasia is based on two variants of the same carol melody collected by Vaughan Williams in Herefordshire. ‘There is a fountain of Christ’s blood,’ was recorded by Vaughan Williams and Ella Leather, a folk singer, with Mr W Hancocks, a 70-year-old labourer, at Monnington, Herefordshire, in October 1908. ‘The truth sent from above’ was collected from Ella Leather, or sung by Mr W Jenkins at King’s Pyon, Herefordshire, in July 1909. This an English folk carol is of unknown authorship and was collected in the early 20th century by English folk song collectors, including Vaughan Williams and Cecil Sharp, in Shropshire and Herefordshire. A number of variations on the tune exist, but the text remains broadly similar. Much of the haunting opening cello solo is derived from these two carols. Recounting the story of Adam’s fall and the coming of Christ the Redeemer, the tone is one of solemnity as the solo baritone intones ‘The truth sent from above,’ accompanied by a wordless chorus, evocative of a wintry rural English landscape. The truth of God, the god of love. Is that God did man create. Christ our blessed saviour was born on Christmas day. Oh we wish you the comfort and tidings of joy. He’s lying in the manger while oxen feed on hay. This third section is based on another carol collected by Vaughan Williams, the ‘Sussex Carol’ (‘On Christmas Night, all Christians sing’), sung by Mrs Verrall of Monk’s Gate, near Horsham, on 24 May 1904. This was first published in the Journal of the Folk-Song Society (1905) and later with in Eight Traditional English Carols (1919). This later combines with the ‘Somerset Carol’ and other carol quotations, including the ‘Wassail Song,’ a Yorkshire tune familiarised by Stainer, and ‘A Virgin most pure’ from Davies Gilbert’s Ancient Christmas Carols (1822). (News of great joy, news of great mirth. (All for to see the new-born King). Which makes the angels sing this night). (Both now and evermore Amen). Oh we wish you a happy, a happy New Year.